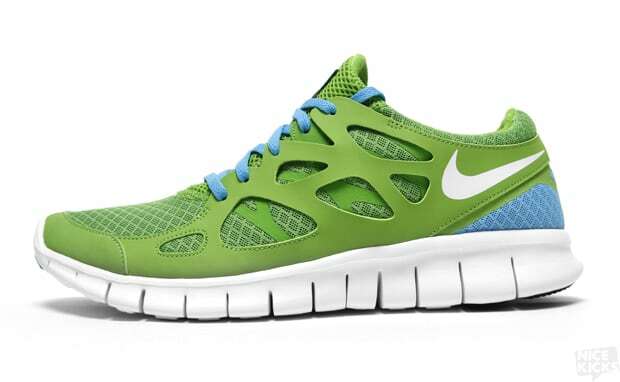 Nike Free Run+ 2 "Green Apple/Chlorine Blue"
Brighter colorways have begun to arrive now that the weather is warming up, and this Nike Free Run+ 2 is no exception. Reminiscent of Easter colors, the synthetic and mesh upper comes in a Green Apple colorway and is accented by Chlorine Blue in the heel and laces. It&apos;s an ideal runner for the summertime — cool runnings. They are available at Nice Kicks.